We install and repair all makes of garage doors. This includes Clopay, Wayne Dalton and many other brands. We fix and replace electric garage door openers such as: Chamberlain, Liftmaster, Sears, and Genie. We fix and replace garage doors, including springs, rollers, cables, hinges and garage door sections. This father and son company was referred to us by a friend stating that they were local, competent, did great work, stood behind their work and provided great service. We found this all to be true and were very happy with their work. They were professional, polite and courteous. 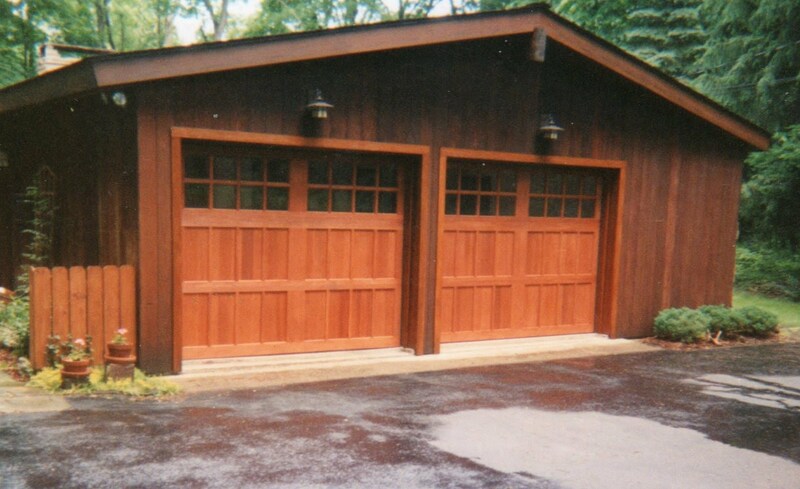 Their excellent carpentry work made it possible for us to have the redwood garage doors that completes the look of our home. We highly recommend this company.